In the past, legal Arkansas sports betting seemed like an impossible adventure. The state was generally seen as an anti-gambling state with laws preventing many forms of gambling. However, law changes both on the federal and state level have reduced this mindset and brought more of an accepting approach towards the industry. PASPA was a federal law that was repealed in 2018 but originally made sports betting illegal throughout the country with the exception of a few states. Now that this has been overturned, it has opened up the ability for each state to determine their own laws and regulations for legal sports betting and Arkansas has moved toward that quickly. It is important to understand the past when discussing the gambling industry as well as your rights and locations to engage in the hobby. Our goal is to ensure you are knowledgeable on the topic and feel confident moving forward. In-state sports betting as well as online options are available for you and there are no longer laws preventing you from safely and legally getting started. 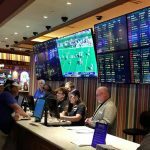 Is Land Based Sports Betting Legal In Arkansas? Yes it is. Sports betting in Arkansas became legal in November 2018, when voters approved the amendment titled “Issue 4” on the mid-term ballot. This came after a petition of over 80,000 residents to have the amendment listed on the ballot, which passed with nearly 55% approval. Set to give an operator’s license to Southland Racing Corporation and Oakland Jockey Club, Inc., these places will be the first to offer full-fledged sports betting within the state. Two other licenses were granted in Pope and Jefferson counties but regulations must be discussed and promulgated before the latter two locations engage in the industry. There is absolutely nothing in Arkansas law that specifically mentions any form of online sports betting (or even online casino gaming). Thus, there is enough gray area there – and a distinct lack of legal precedent or prior recorded offenses – to conclude that it’s likely quite safe to partake of online sports betting in Arkansas. Hundreds of thousands of state residents do it on a daily basis and as long as you yourself are not a bookie, you should be okay. Betting with an offshore operator gives you immunity from state or federal laws; however, attempting to wager with an unlicensed operator located within the state can land you in trouble. You can legally bet on sports in Arkansas, but not with a local bookie. In most states, it is a federal offense for any unlicensed entity, to accept a sports bet, and Arkansas is no exception. Although sports betting is now legal in Arkansas, there are no sportsbooks taking bets right now. Sportsbook providers are working on that issue. There are two locations that will be developed as licensing and regulation make their way through legislative sessions. These will be located in Jefferson and Pope counties. 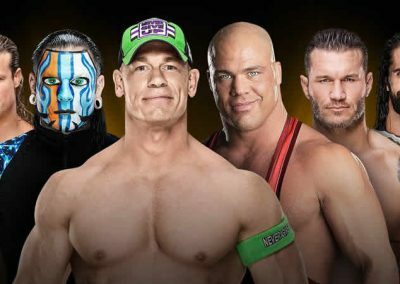 Moreover, because online sportsbooks are overseas and unbound by the dictates of American law, these companies can take your bets. 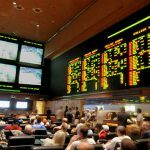 It may seem like a questionable loophole, but it isn’t – Congress essentially crafted laws like the Wire Act and PASPA (which has since been overturned) to force sports betting to foreign bookmakers. As long as you bet online at sites like 5Dimes, BetOnline, Bovada, and SportsBetting, you can do so with relative impunity. Where’s The Closest Place To Me To Bet? As long as you don’t mind having severely limited options, the closest place to go to bet on something in Arkansas is probably one of the state’s two horse tracks. 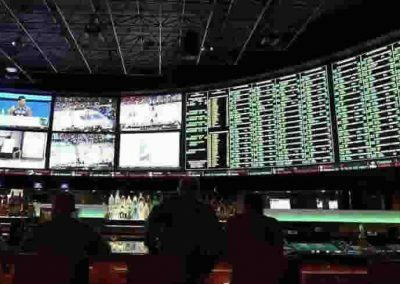 For sports betting right now, however, you will have to visit one of the numerous Mississippi sportsbooks across state lines. If traveling isn’t for you, you still have access to the best sportsbooks on the planet. Nobody offers more options and action than 5Dimes, BetOnline, Bovada, and SportsBetting. And since the services are discreet, you don’t have to worry about Arkansas law enforcement knocking down your door because you had the nerve to put actual money on the Cleveland Browns. If too many people or the distance from these locations is too much for you, you’re left with the Internet to provide your legal Arkansas sports betting sites. Good thing, too, because those sites are the real deal, and they serve up way more action than any brick-and-mortar sportsbook ever could. If you want to get the most creative prop bets, make 5Dimes your first choice. On the other hand, BetOnline gives its users the most financial options for both buy-in and payout, while Bovada – as the granddaddy of online sports betting sites – has the slickest UI and mobile experience. SportsBetting is another great choice, offering the same advanced payment features as BetOnline. You won’t go wrong with any of these, and you’ll never have to pay a signup fee to join. Arkansas was seen as an anti-gambling state in the past as they hadn’t allowed many forms of gaming and gambling, in general, is almost completely illegal. Aside from a state lottery, a few bingo halls, and two “Racinos” that also offer some sort of imitation, pressed “poker” product (enabled by the Electronic Games of Skill Act, 2005), there’s nothing much in the way of actual gaming in the state. However, sports betting became legal in November 2018 when the voters passed the agenda on their mid-term ballot. With a 55% pass rate, the residents proved they wanted Arkansas to be more of a pro-gambling state and follow suit with the nation. 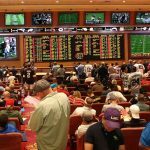 Now that there is legal sports betting, regulations are set to guide the two licensed Racinos and two future casinos and the potential for more lackadaisical gambling laws may arise. What Teams Can I Bet On? While there are no major professional sports teams in Arkansas, there are several collegiate and minor league teams to choose from when it comes to your sports betting slate. The largest Arkansas fan base belongs to the University of Arkansas Razorbacks, one of the winningest college football programs in the country. Since the Razorbacks always make their mark on the yearly NFL draft, UA fans are particularly well-suited to stepping up to the NFL and predicting the impact that the school’s young graduates will have at the next level. With over 80 active players in the NFL, you’d better know your Razorbacks if you want to be any good at legal Arkansas sports betting. 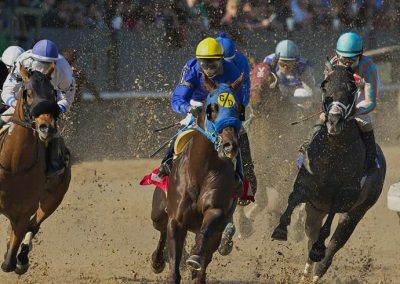 Horse racing is a longstanding traditional pastime in Arkansas, which is home to two beautiful racetracks, the Oaklawn Park and Southland Park Gaming and Racing centers. These racinos feature regular horse racing betting events, but they also offer greyhound races (albeit not on the same day). Arkansas horse and dog betting is limited to the pari-mutuel variety, with Oaklawn having over 100 years of experience in the former and Southland specializing in the latter. In fact, Southland Park happens to be one of the largest greyhound facilities in the entire world! Arkansas has the distinction of being the first state of 2017 to legalize and regulate Daily Fantasy Sports (DFS). 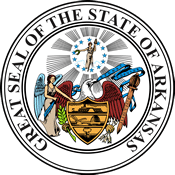 The 11th US state overall to put the official stamp of approval on DFS, Arkansas saw HB2250 pass the state senate 25-5 and pass the house with a unanimous 85-0 vote, becoming law in April 2017. Several commercial, paid-entry DFS leagues now do business in the state, with the largest two – DraftKings and FanDuel – making up about 95 percent of the market. In fact, these two leagues, with an estimated 15 million combined users, were instrumental in lobbying Arkansas to pass the publicly-supported legalization, and they continue to work with many state governments across America to promote the availability of and access to the DFS lifestyle. Can I Bet Real Money On Sports In Arkansas? What other kind would you bet? I kid, I kid. Yes, you can bet real money on sports in Arkansas. Just make sure that you use a trustworthy sportsbook to do so, as there are a lot of small-fry fraudsters out there looking to cut and run with your wager. 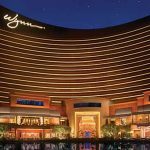 Luckily, between 5Dimes, BetOnline, Bovada, and SportsBetting, you have a plethora of payment options, both for buy-in and payout. You can use Visa, Mastercard, Bitcoin, Litecoin, personal check, courier check, bank transfer, money order, Person to Person, Skrill, Neteller, and more. The one thing these sportsbooks don’t take, ironically, is cash. But you don’t want to mail that stuff overseas anyway. Is Online Sports Betting Safe In Arkansas? Though not without risk, online sports betting is pretty safe in Arkansas. The chances of being popped in a raid are next to nil, and if you’re worried about that, investing in a VPN (virtual private network) might not be a bad idea. Online sportsbooks are already pretty buckled down with industry-leading data security, but it never hurts to have an extra firewall. Really, the only thing you need to concern yourself with re online sports betting in Arkansas is receiving your winnings in a timely manner. Because of the Unlawful Internet Gambling Enforcement Act (UIGEA, 2006), overseas books sometimes have trouble working with banks in the US. This can slow down some forms of funds transfers, so you’ll need to adjust your payout options to your personal schedule. For example, Bitcoin offers the fastest transfers at one to two days, while courier checks are very reliable but can take upwards of two to three weeks. Will Sports Betting In Arkansas Ever Be Legal? The short answer to this question is that sports betting in Arkansas is already legal. That doesn’t mean that it is available though. Regulations are still needed to be discussed and promulgated throughout the state but once this occurs, sports betting in Arkansas will be officially live. It’s going to take some time though, as a taxation system and the overseeing body, the Arkansas Racing Commission, must be approved by legislators. Additional licenses are granted to Jefferson and Pope Counties but these will be offset until about 2020 when casinos can be properly built after a bidding process. Quapaw Tribe has been granted to be the casino operator of Jefferson County. Will I Get Arrested For Sports Betting In Arkansas? As long as you limit your activity to online sportsbooks or licensed operators within the state, you probably won’t ever get arrested for sports betting in Arkansas. Now that it is legal within the state and federally approved, the crackdown of sports betting has decreased – at least through the approved channels. The biggest penalty on the books for a bettor who runs afoul of the law is a $25 fine, so even if you do get found out, you’ll likely never have to feel handcuffs on your wrists. Just be sure not to deal with unlicensed bookmakers. What Is the Sports Betting Age In Arkansas? The minimum for players to gamble legally is 21 years of age. That’s probably the best metric to abide by, but some online sportsbooks that provide legal Arkansas sports betting set their minimum ages at 18. Whatever you do, just don’t lie about your age at these sites, as that constitutes a violation of their terms of service and may result in winnings forfeiture and account closure. Are There Mobile Sports Betting Apps Available In Arkansas? Most gambling services have embraced the smartphone revolution, and legal Arkansas sports betting vendors are no exception. 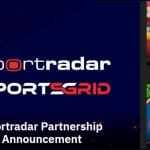 While dedicated downloadable iPhone and Android apps do not exist for any of the major online sportsbooks (and anything you find on the app stores otherwise is a scam), these companies have spared no expense to make attractive, responsive mobile versions of their standard websites. Just visit your sportsbook of choice through your smartphone or tablet browser, save the mobile page to your desktop, and you’ll be able to quickly launch this “web app” any time you want to place a bet or check on a line. Additionally, with the advancement of mobile betting came live betting. Live betting is the ability to wager on a game or event after it has already started. Being decisive is a must as lines change ever so rapidly as each play/pitch/moment influences the outlook of the game. Payouts, however, can be substantial. Where Is The Best Place To Bet On Sports In Arkansas? You have two different options for this. Either at the Racinos in the state or on the internet. Both of the original licensed tracks are on opposite sides of the state and the future two are near the middle of the state, which will help accessibility. For the Internet, it is up to you to choose your favorite online sportsbook. Regardless of which one you choose, they all offer satisfactory privacy protections. Should I Use An Unlicensed Local Bookie In Arkansas? No! You cannot participate in legal Arkansas sports betting through the services of a local bookie. State law make accepting sports bets illegal, and Arkansas isn’t shy about punishing all parties involved in any unlawful betting activity, including the bettor. To stay legal, be sure to use a licensed operator within the state. It is a much safer, better bet to limit your wagers to online sportsbooks. All the major sites offer top-tier privacy and encryption, and you can even pay in and out using Bitcoin or similar. You can’t leave a paper trail if everything is paperless! Do Any Casinos In Arkansas Have Sports Betting? There are no casinos in the state but that is because they are classified as Racinos. This is just a fancy word combining racetracks and casinos but yes they offer sports betting. Southland Park Gaming and Racing underwent a $38 million renovation not too long ago and has been around for over 60 years! Oaklawn Racing & Gaming is the other location for sports betting which has been licensed by the state. This Racino opened just a few years after 1900 and still continues to thrive. In fact a 2017 Horseplayers Association of North America Poll ranked this location fifth overall of Norther American racetracks. Can I Bet On Sports With My Friends In Arkansas? Not legally, no. While private sports bets and poker games would be almost impossible for Arkansas law enforcement to monitor and/or prove, it is certainly within their legal purview to try. This authority is outlined in the Arkansas Code (§ 5-66-113) and comes with a fine of between $10 and $25. While this penalty is trivial, not all are. It is a Class D felony to operate a “gambling house” in Arkansas. Unfortunately, the standards for what constitutes a gambling house is quite vague so it is recommended not to try this in hopes you can get by.